Forget lazing in the sun and sipping mai tais all day long. According to the latest stats, wellness tourism is on the rise, with more and more Americans seeking fitness-friendly getaways that prioritize their health — both mental and physical. While there are destinations that offer, say, a week of surfing, or resorts touting wellness packages, why limit yourself to only one locale? 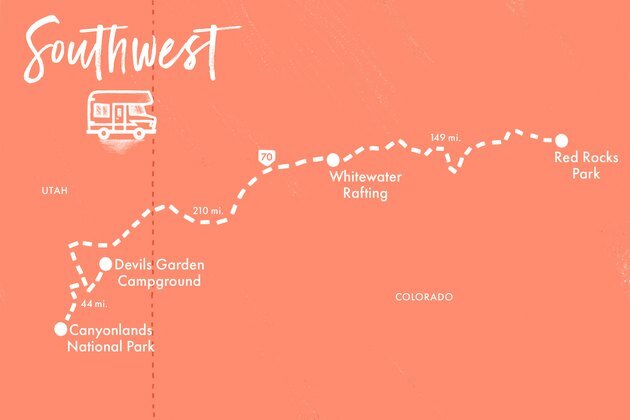 Road-tripping in an RV lets you pack paddleboarding, hiking and chilling at the hot springs into a single trip. And did we mention the scenery? Read on for five “activacation” routes throughout the United States. 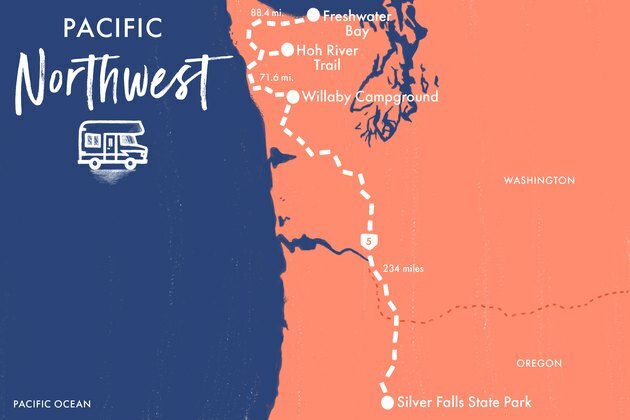 For a trip that’s as meditative and tranquil as it is active, journey through the Pacific Northwest, where you’ll discover vibrant, tucked-away coves, dense, old-growth rainforests and more than a few majestic waterfalls. Kayak here: It’ll be smooth sailing (or kayaking) on the calm waters of Freshwater Bay in Washington’s Strait of Juan de Fuca. Traveling in an RV means you can bring your own gear, but for newbies there are rental shops and tours run out of nearby Port Angeles. Stay close to shore as you paddle west under rock arches and through small coves that are home to starfish and sea anemones. And keep your eyes peeled for seals, sea otters and possibly even a whale, if you’re lucky. Hike here: Finish up your day and stretch your legs with a short hike (just under a mile) along the Hoh Rainforest’s Hall of Mosses Trail. Located on the west side of Washington’s Olympic National Park, the area sees up to 170 inches of rain a year. The result? Towering, ancient trees with moss-covered branches that will make you feel as if you stepped into a fairy tale. Sleep here: Situated on the shore of Lake Quinault, Willaby Campground in Olympic National Park can accommodate RVs up to 16 feet in length for sites positioned right at the forested shoreline. There aren’t hookups, but you won’t notice. You’ll be too busy snapping pictures of the surrounding scenery. Hike here: Not surprisingly, you’ll hike past 10 waterfalls on the Trail of 10 Falls, an 8.7-mile loop in Silver Falls State Park, Oregon. The route allows you to view falls from every angle, even taking you behind the stunning North Falls as it tumbles 136 feet onto the rocks below. 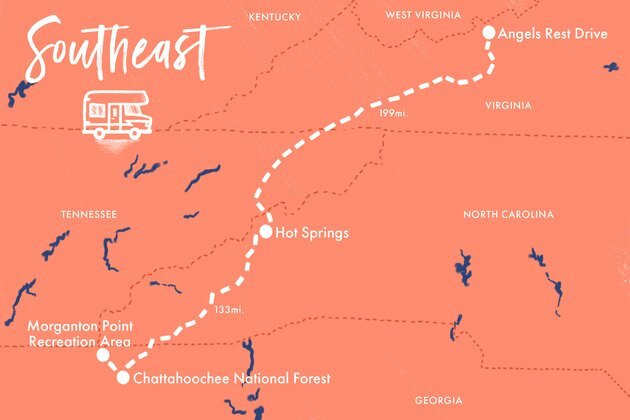 Check “hiking the Appalachian Trail” (at least a small section of it) off your bucket list with this route, which also includes plenty of opportunities for detours along the epic and winding Blue Ridge Mountain Parkway. 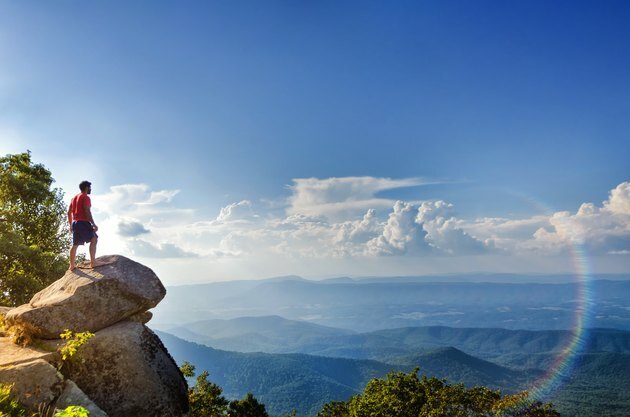 Hike here: Don’t let the seemingly short 4.5-mile trek fool you: The Angel’s Rest section of the Appalachian Trail in Pearisburg, Virginia, is known for its brutal climb of more than 1,600 feet. The view from the top — a northwest-facing scene of the surrounding mountains and valleys — will be worth it, though. And you’ll have conquered a piece of one of the most famous hikes in the world. Unwind here: After your hike, treat yourself to a soak at Hot Springs Resort and Spa in Hot Springs, North Carolina. The small mountain town (it has only 567 permanent residents) is home to natural mineral springs that bubble to the surface at more than 100 degrees Fahrenheit. Thought to have healing powers, the carbonated waters will, at the very least, be a welcome treat after the day’s arduous trek. Sleep here: It’s a two-minute walk from the resort to the Hot Springs Campgrounds, located along the banks of the French Broad River. Expect to encounter plenty of other adventurers looking for a respite from the nearby Appalachian Trail, which passes right through the town. Paddleboard here: Grab your board from the RV or rent one from a nearby shop at the Morganton Point Recreation Area and head out for some paddleboarding on Lake Blue Ridge in Chattahoochee National Forest, Georgia. Take in the picturesque scene of the Blue Ridge Mountains as you float by. New to standup paddleboarding? Some of the rental shops offer lessons with board rental. Visit two national parks on day one with this route that starts in Moab, Utah, amidst sandstone rock arches and layered mesas. From there, you’ll follow I-70 along the Colorado River, where white water rafting beckons. Mountain bike here: Canyonlands National Park, Utah, is world-renowned as a mountain biking destination. The unique and challenging terrain caters to more experienced riders, and the outstanding scenery creates the perfect conditions for the ride of your life. Plenty of nearby shops rent bikes, so if you didn’t bring your own—in the RV or mounted to a bike rack — you can still join in. Go it alone or take one of the guided tours offered by the park. Sleep here: At The Devils Garden Campground in Arches National Park, Utah, set up camp among giant strangely shaped formations of smooth, weathered sandstone called slickrock. While there, explore a few of the extensive natural stone arches that give the park its name. Go rafting here: In spring, melting snow from the mountains creates rapids on the Colorado River, which make for thrilling whitewater rafting adventures. Head to Glenwood Springs, Colorado, where a number of state-certified companies operate, and prepare for enthralling canyon views. Hike here: Explore Red Rocks Park, Colorado, with a hike along Red Rocks Trail, a six-mile loop that guides you through a meadow just east of the great sandstone slabs—taller than Niagara Falls — for which the park is named. For a shorter route with a closer look at the monoliths, try the 1.2-mile Trading Post Trail loop. 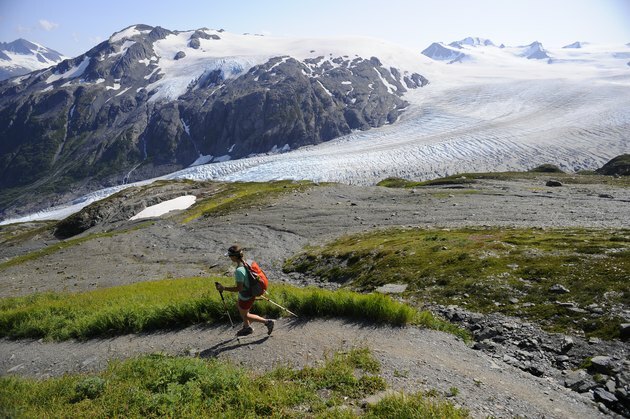 From the high peak of Denali to the glacier-carved beauty of the Kenai Fjords, this route offers a glimpse of Alaska’s varied landscapes and activities. 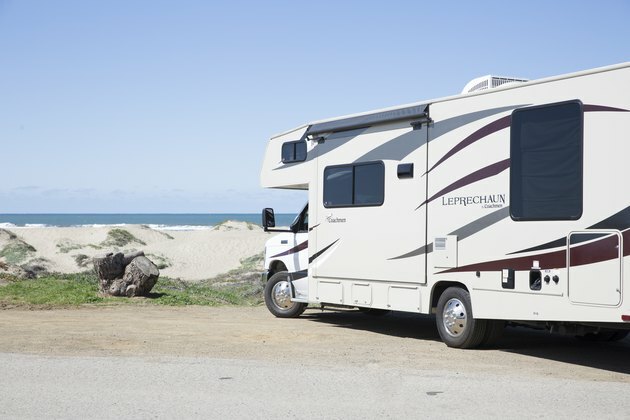 It’s a long haul up from the lower 48 (some 43 hours from Seattle alone), but fortunately, there are plenty of local RV rental companies to be found in the self-proclaimed RV-friendly state. Hike here: Although Alaska’s Denali National Park and Preserve is a massive 6 million acres, there are a limited number of actual trails. The rest of the park can be explored off-trail, but doing so requires plenty of preparation, not to mention the ability to read a compass. For a half-day excursion that combines exercise with exploring (and nearly zero risk of getting lost), take scenic Rock Creek Trail to the park’s sled dog kennels, where you can watch a demonstration of the traditional Alaskan mode of transport. Rock Creek becomes a 4.5-mile loop trail when combined with the Roadside Trail. Pause here: Stop off at Denali Viewpoint South for a very short stroll up a path where you can take in the best views of Denali peak (known up until recently as Mount McKinley). The bragging rights will be all yours: You’ll be able to officially say you have seen the tallest land-based mountain in the world (measured from base to summit) and the tallest mountain (period) in North America. Sleep here: Matanuska River Park in Palmer, Alaska, is great for no-fuss campsites within easy reach of some of the most beautiful areas of southern Alaska such as Turnagain Arm Drive, which runs from Anchorage south to the Kenia Peninsula and is known as one of the world’s most scenic stretches of road. The route winds you past mountains and through marshes and dense forests. Kayak here: Glide past blue glaciers and no-filter-needed green hills as you sea kayak the frigid waters of Kenai Fjords National Park. The park is actually a temperate rainforest, with extensive flora and fauna to observe. Also be on the lookout for puffins, seals and whales, specifically beautiful black-and-white orca. Jacqueline Nochisaki is a writer and editor whose work has appeared in Time Out New York and Forbes Travel Guide and on Vogue.com. She has visited more than 40 countries and camped all over the U.S., including an RV tour of Alaska. She is currently based in New York City. For pics of her travels and more, follow her on Instagram at @jacquisaki.